Danzig have confirmed the release date and shared the artwork for their new album. 'Black Laden Crown', the first Danzig album consisting of all new material since 2010’s 'Deth Red Sabaoth', is set to arrive on May 12. Check out the artwork above. This summer, meanwhile, is the 25th Anniversary of 'Danzig III: How The Gods Kill'. To celebrate the band will play a limited number of shows performing tracks from the record. Dates are yet to be confirmed. Danzig will also play a headline set at this year's Blackest Of The Black festival on May 27. Paradise Lost will support Danzig in Glasgow and London this summer. 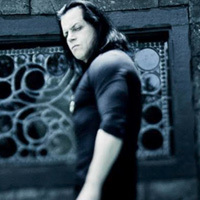 Danzig will mark their 30th anniversary with shows across the UK and Europe this summer. Danzig have released a video for Last Ride.